Clusters that combine heterogeneous compute device architectures, coupled with novel programming models, have created a true alternative to traditional (homogeneous) cluster computing, allowing to leverage the performance of parallel applications. 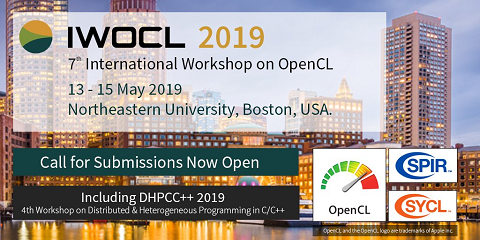 In this paper we introduce clOpenCL, a platform that supports the simple deployment and efficient running of OpenCL-based parallel applications that may span several cluster nodes, expanding the original single-node OpenCL model. clOpenCL is deployed through user level services, thus allowing OpenCL applications from different users to share the same cluster nodes and their compute devices. Data exchanges between distributed clOpenCL components rely on Open-MX, a high-performance communication library. We also present extensive experimental data and key conditions that must be addressed when exploiting clOpenCL with real applications.